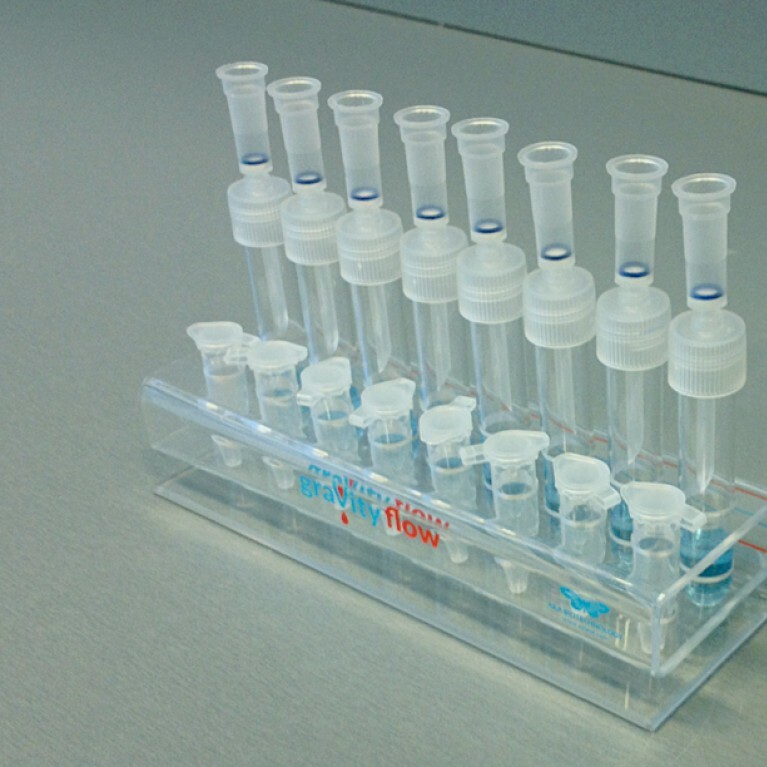 Versatile, increased efficiency kit for genomic DNA purification from various sources. Mechanical lysis. 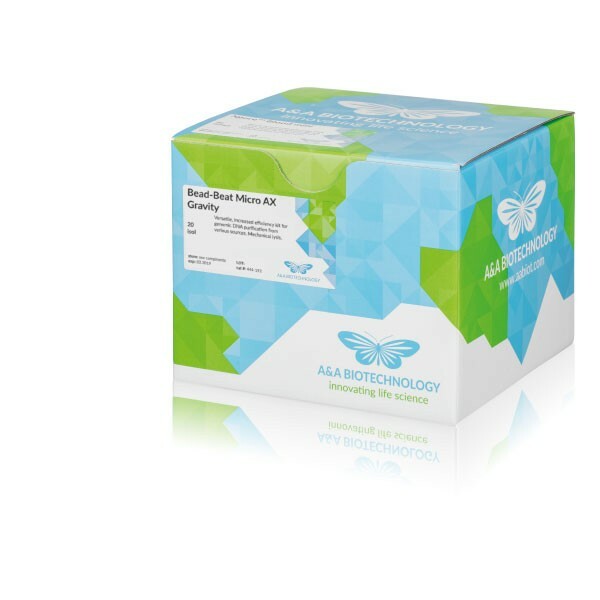 Sample size: up to 2 ml of bacterial culture, up to 2 ml of fluid or 100 mg of liquid yeast culture, up to 100 mg of plant tissue, up to 20 mg of animal tissue, up to 100 mg of faeces, up to 200 mg of environmental sample up to 50 mg of other biological material. Dedicated rack for kits based on Gravity flow technology.